Your work increasingly demands that you be able to get things done no matter where you are--so the bigger your mobile tech toolbox, the better. In the past, we've described how to accomplish more with popular online tools like Google Calendar, with text-messaging utilities like Web-based personal assistant I Want Sandy, and with voice-to-text service Jott; but that's only the tip of the iceberg. This time we'll take a closer look at 15 mobile tech tricks and tools that'll have you working better, smarter, and faster on the go. You can share a single wired Internet connection by setting up an ad hoc wireless network among multiple laptops. Next time you find yourself in a hotel room with only one wired connection and a handful of laptops begging for a Wi-Fi hotspot, transform your laptop into a wireless router by setting up an ad hoc wireless network and sharing your wired gateway. Here's how it works. First, plug the ethernet cord into your laptop. To create a new ad hoc network, be sure to enable Internet Sharing on your laptop by checking the box labeled Allow other network users to connect through this computer's Internet connection in the Advanced tab of your connection's Properties menu. From there, setting up an ad hoc network works differently in XP and in Vista. 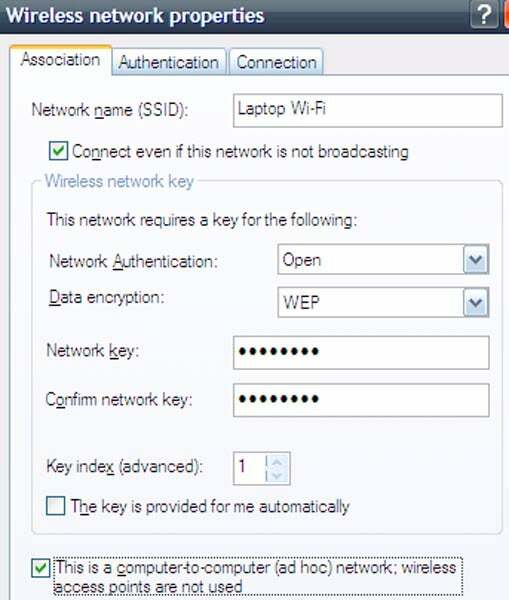 Once you've created your ad hoc wireless network with the laptop you plugged in, you can connect any other computer to the new Wi-Fi network just as you would connect it to any other wireless hotspot. If you're a seasoned traveler, you're used to working with your laptop in public places. But if you're not securing that laptop, you're asking for trouble. Apart from using a physical laptop lock (which you should already do), you can set up a software security system on your laptop with free software designed to deter thieves and to recover laptops. For example, Laptop Alarm, when switched on, will set off a loud alarm if anyone unplugs your power cord, moves your mouse, or tries to shut down your computer. And since no security system is complete without a security camera, try Yawcam, a free app that turns your laptop's Webcam into a motion-sensing security camera capable of uploading photos of potential thieves to the FTP server of your choice. Last but not least, the free LaptopLock utility focuses on retrieval and extra security for stolen laptops. With LaptopLock you can delete files, encrypt data, and log the IP address of your stolen laptop--all remotely. BtProx monitors the proximity of your cell phone or other Bluetooth device and automatically locks your computer when the phone goes out of range of your computer. Free application BtProx monitors the proximity of your computer (laptop or desktop) to your cell phone or other Bluetooth device, and automatically locks the computer when the phone goes out of range. When you walk away from your laptop with your cell phone in your pocket, for example, the computer will automatically lock--protecting its contents from prying eyes while you're not there. In addition, you can arrange for BtProx to launch any application at the same time that it issues the lock command--so you could automatically lock your PC and turn on your laptop security system when you walk away rom the machine. Instant messaging may seem like a productivity black hole, but in some workplaces, it's the quickest and easiest way to communicate with your coworkers. You can even reply to IMs via text message, meaning that you can have the same conversation using your phone as you would from your instant messaging client. If you use the classic AIM, you can set up instant message forwarding to send IMs directly to your cell phone via SMS when you aren't signed on at your computer. 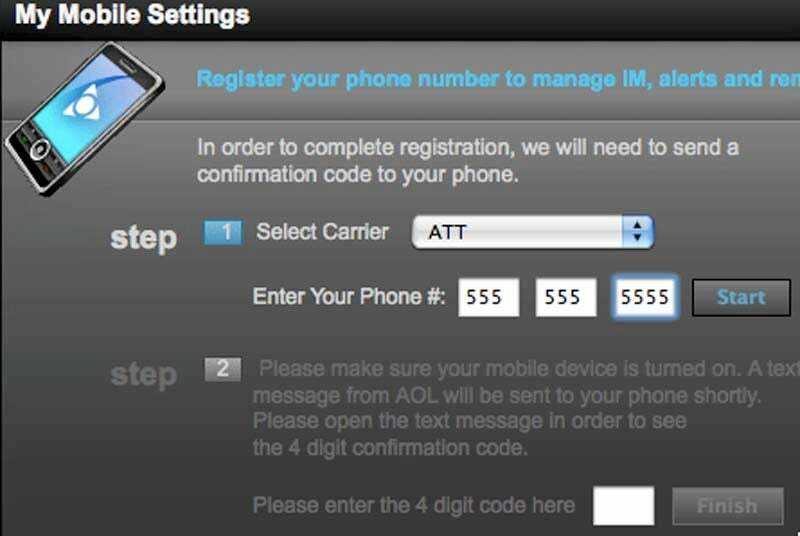 To enable IM Forwarding on the Web, just go to AOL's IM Forwarding page, click the Manage Your Mobile Settings link, and fill out the form (you'll need to log in if you haven't already).